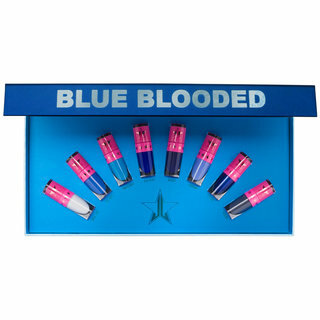 I am a big fan of Jeffree's liquid lipsticks. 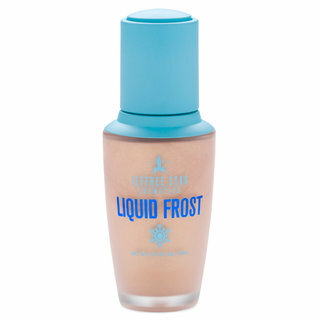 Not so much of the Skin Frosts, so when I heard about the the Liquid Frost I was counting the days to get mine. Well, I am not real happy. First, the cap pump is cheap looking and works weird. 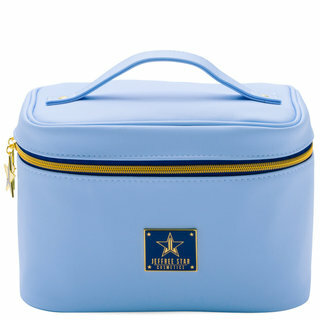 Second, the product is super watery, I compared the ingredients with Cover FX and Iconic. No water mentioned on those. Here is the first ingredient. They are more expensive for a reason... This one is hard to work, too wet to put over matte foundation or a set face, too sheer to put under. 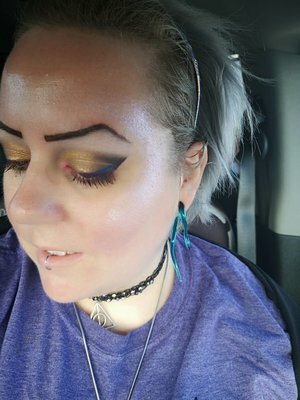 Too glittery to mix with a light/ medium coverage foundation.I am at a loss for words. Well, you get what you are paying for, right? @$25 for an ounce I kinda feel bad and gave two stars instead of one. You can use on the body I guess. I'm ready to return it. In the bottle, and before blended out, it’s this beautiful pinky-peach color. Once it’s blended out, it has these beautiful purple micro glitters that catch the light. It’s wonderful, but again not what I expected. I’m going to try canary bling next to get more of a gold-pinkish glow once blended out. The frost was long wearing and buildable. 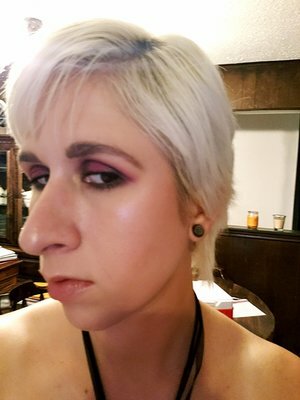 I had it layered on top of tinted moisturizer, and powdered bronzer on some parts of my face. In the picture I have it in my inner corner and the high points of my cheekbones and along my nose. I really like these! I bought Frozen Peach and Ice Queen. Very similar shades tbh. Ice queen has more of a blue/purple and silver sheen while frozen peach has more pink and blue/purple. I have yet to try them over foundation but what I’ve tested on my hand so far it worked without disrupting the foundation. They’re buildable, very very glittery, and dry really fast but not as fast as people make it out to be. I’m going to buy more of these as more shades are being released! Really hoping for a all green and all blue one next. 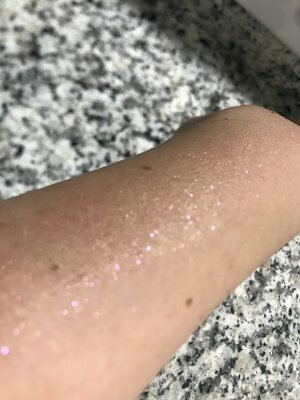 This liquid highlighter does not disappoint if you like sparkle. Dries down fast and isn’t tacky. I've used it thus far as a body "glitter" and as face highlight (fan brush and fingers both work). It didnt flake or rub off! Be sure to test before using - a little goes a VERY long way. 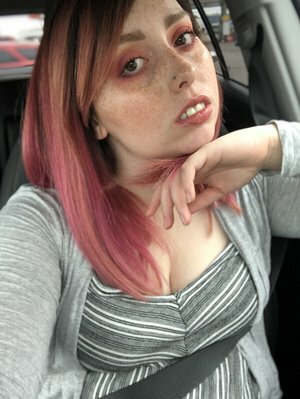 I bought the new Jeffree Star Liquid Frosts and I am in love! Frostbite is so stunning! 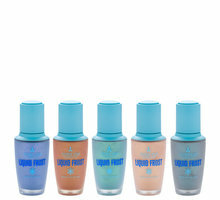 All the colors are beautiful but I think that Frostbite is wearable for any occasion. 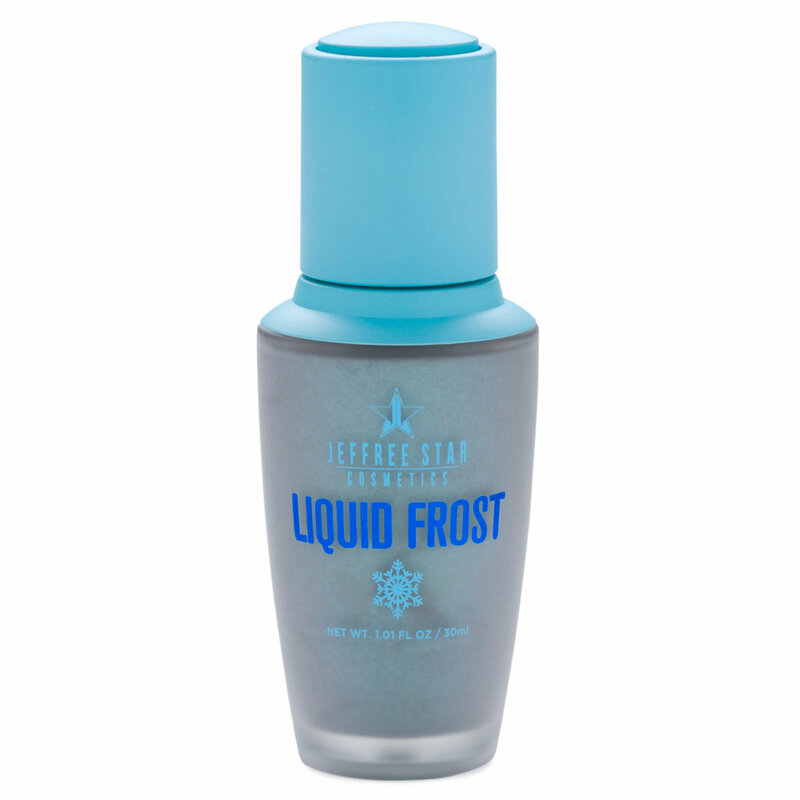 I definitely recommend these liquid Frosts (or any Jeffree Star Cosmetics actually)! I went without buying any new highlights since I caught wind that Jeffree was coming out with these!! They are so beautiful. 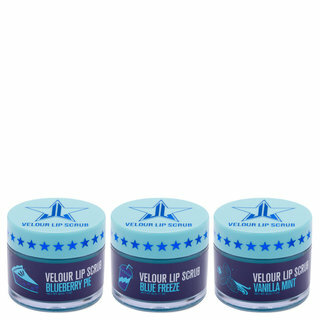 I unwrapped them and started to swatch and within 3 minutes every area that was covered with this product started itching intensely and I got a very bad rash! So disappointed- I’ve never experienced a rash from any makeup product before so it really makes me wonder what’s in it that makes it so harsh :( I’m grateful that Beautylish is so great about returns. I was super excited for this. I know Jeffree wasn’t thrilled with the other body highlighters that came out recently because they were tacky on the skin. This one is absolutely not tacky or sticky, and feels very light weight. 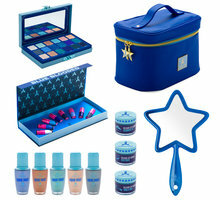 The applicator is very easy to use, and the packaging looks very nice. I am SO disappointed in the reflect color though.. It is straight pink, no gold at all. It’s so hard to capture in a photo, but I will attach some below. It looks so beautiful and gold before it’s spread out, but once you blend it out it only looks shiny pink and the gold is gone! I gave four stars because I feel like it should be disclosed that this isn’t gold, and it’s actually pink glitter. I personally do not like pink tones at all in my highlight, but if you like pink glitter this one is for you! I would definitely try another color, because the formula does feel nice and the shine is very pretty. I would recommend! I purchased ice queen and frostbite. (haven't tried frostbite yet) but ice queen is amazing. I really enjoy how shiny/sparkly it makes me look. I usually use powdered highliters but now I'm obsessed with these. Gives me a beautiful unicorn shine. And the best part is you don't need very much so a bottle will last a long time. Next purchase will be crowned jewel!